During its long history, Château Climens has changed ownership very little, which has allowed it to remain true to its excellence and know-how. This constancy is also reflected in the Château's wines, which are renowned for their regularity over the years. Château Climens' vineyard covers an area of 30 hectares and consists exclusively of Semillon vines, which are grown in biodynamic conditions. 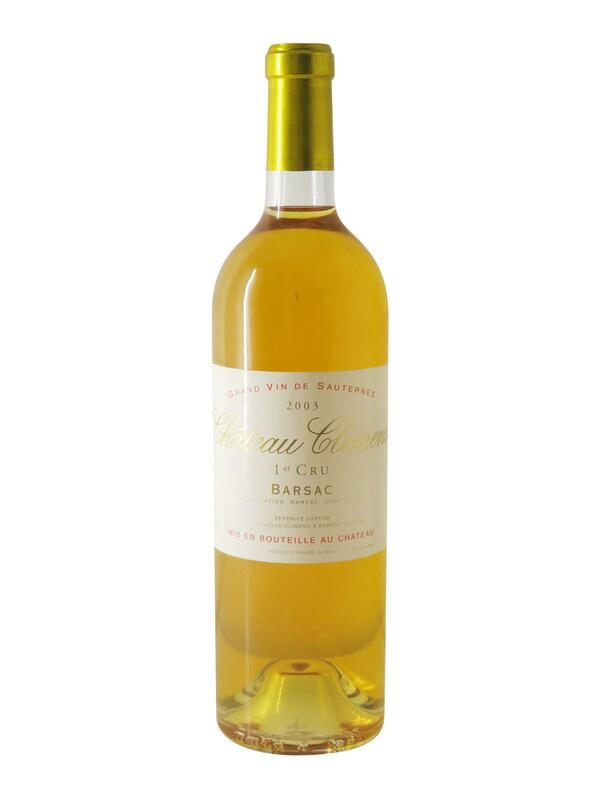 Composed of a blend of 100% Sémillon, Château Climens 2003 exhibits a magnificent golden yellow colour. On the nose, it distils complex and exotic aromas of fruits, dried apricot and candied orange, coated with gourmet flavours, honey, and maple syrup, as well as a touch of spices to spice up the whole. The mouth is greasy, velvety and tinged with spicy notes. It's an explosion of exotic fruits between pineapple and mango. Château Climens gives off a huge aromatic power on the palate, until its final, very concentrated and accompanied by a slight acidity. Quarin said about Climens 2003: "This is the biggest Climens I've tasted in 40 years. A dream in the mouth!"